UX design is a crucial factor for companies that want to develop products that meet the demands of their increasingly exacting customers. In order to examine the world of UX design, Belatrix Software recently held a UX design week. Here, we examine the highlights. UX design is the process of determining what the experience will be when users interact with a service, interface or product. Designers aim to create enjoyable and frictionless experiences for customers, providing ease of use, accessibility, and usability. Successful software development companies have developed user-centered approaches and they are aware of the importance of integrating UX design with other areas of the organization in order to build a final product that is functional and usable. But how can companies be successful at this integration? Firstly, organizations need to invest time and resources in user research, the most important stage of UX design. This is what builds the foundation for the rest of the UX process and provides a user centric-approach to the initial stages of the software development lifecycle. Another strategy is to establish a standard work methodology. Here at Belatrix, for example, we created a UX center of excellence in which designers work according to the values and parameters of Agile development. This means that designers and developers work in iterations to constantly evaluate and validate features with product owners and stakeholders. Customer journey mapping is part of a wide set of methods of UX design. In the process of building user experiences, designers also use techniques such as interviews, surveys, wireframes, sitemaps and A/B tests. The success of the final product depends to a great extent on choosing the techniques that best fit the goals of your project. There are many factors that influence the decision-making process, such as the stage of product development, the kind of data that designers want to collect, and the specificities of the group of people they are addressing. User research (exploration phase). Here designers carry out benchmarking, meet with key stakeholders, conduct contextual and individual interviews, and use surveys. UX strategy (build, evaluate and validate). Designers analyze quantitative and qualitative data to create user profiles or personas which are semi-fictional representations of real people with a set of values and expectations. Personas represent the most important groups of your users and build a clear picture of how they will interact with the product. Prototyping and testing (measure): Designers use wireframes, sitemaps, and user flow diagrams, to create a prototype, which is a representation of the final product. A/B testing aims to identify user responses, depending on different versions of a webpage. Also, eye tracking detects where users concentrate their attention. Designing great user experiences also involves understanding how we physically and psychologically react to stimuli, and how these reactions are molded by culture and background. The Gestalt principles help designers determine what are the best graphic solutions according to human perception. For example, the principle of Continuation relates to how our glance follows a line or a path until it finds a particular element. This is useful for designers because they can guide the user’s attention towards certain sections in an interface. Also, the responses of users depend on culture, beliefs and mental models. The culture dimensions theory is helpful to understand how culture affects design. It describes the effects of a society’s culture on the values of its members, and how these values relate to behavior. According to these dimensions, designers can better address their target. For example, the Power of Distance Index (PDI) dimension, expresses to what extent societies tolerate inequality. If designers are addressing an audience with low PDI, it’s important to provide enough and detailed information so users have control over their experience. Meanwhile, societies with low PDI usually won’t be looking for detailed information. Clear and brief statements in which you don’t give users a lot of responsibility work for this kind of audience. One of the UX trends that is having a big impact on UX design is the emergence of Voice User Interfaces (VUIs). Virtual assistants such as Cortana or Alexa are gaining popularity, and many traditional graphic interfaces are eliminating the need to type. According to research by 2018, 30% of our interactions with technology will happen through voice-based systems and by 2020, 30% of all web browsing sessions will be carried out without a screen. What does this mean for UX designers? Designers and developers should be aware of the importance of copywriting for voice-based systems. This also brings to the table the crucial role of machine learning to create digital assistants that can understand the flow of human conversations to address users in an appropriate way. To conclude, UX design practices involve a variety of aspects that range from analyzing quantitative data to understanding how culture shapes our interactions with interfaces and products. User-centric approaches are a must for companies; that is why, it’s important for them to invest time and resources, as well as staying abreast of the latest trends to create wonderful user experiences. Alejandra Rodriguez is part of the marketing team at Belatrix Software. In her role she is responsible for creating industry-leading thought leadership, and bringing together the insights of Belatrix's software experts into compelling content. She loves to learn different languages, and is interested in the power of communication when images and words are brought together. She is also curious about the possibilities that can arise when technology and art are combined. 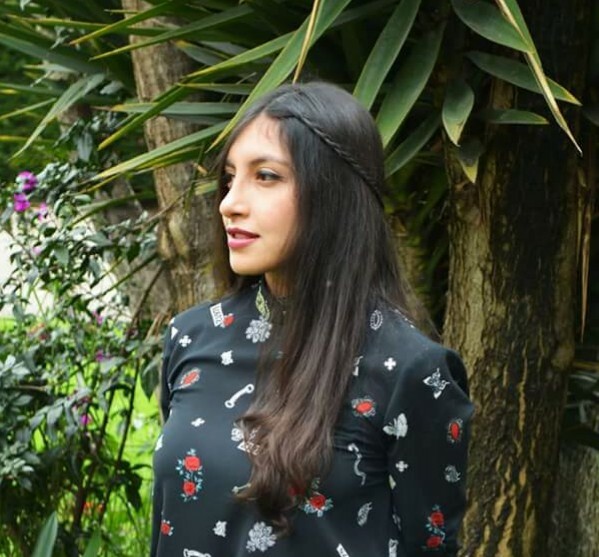 She studied at the Javeriana University in Bogota, and is the author of a book on the relationship between our bodies and the place we inhabit, and many short stories.